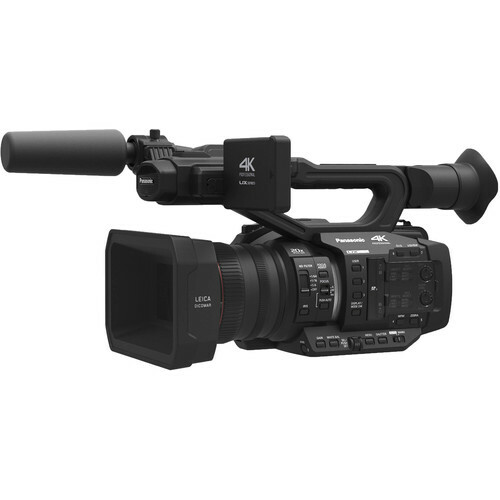 The AG-UX180 offers a bevy of other professional-level features, including dual XLRs with phantom power, SMPTE time-code generation, gamma settings for eight different scenarios, and manual control rings for iris, zoom, and focus. 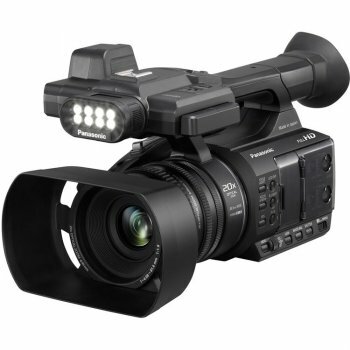 To monitor the status of all settings, and to perform critical focusing functions, the camcorder features both a high-quality 3.5" OLED touch screen and a full-color LCoS 0.45" viewfinder with 1,770,000 dots of resolution. 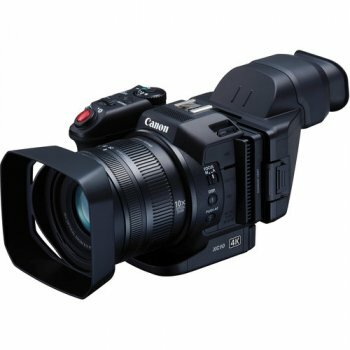 It incorporates two SD slots that allow for simultaneous recording in UHD and HD (DCI 4K can only record to one SD card). You can also choose relay recording, which allows the recording to shift from one card slot to the other as the card fills up. 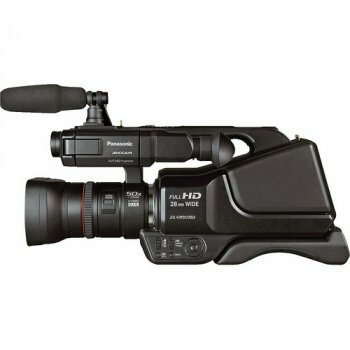 Panasonic′s background recording allows you to record continuously on one card, while starting and stopping the recording on the first card. 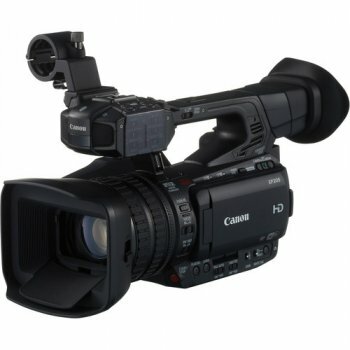 Dual Codec recording is available allowing you to record UHD on one card and HD video on the second. 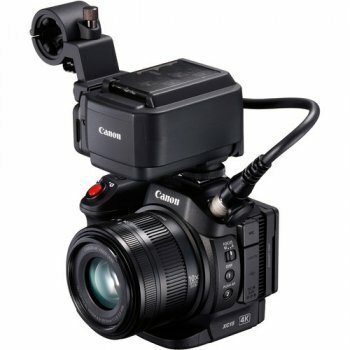 Three manual rings, mechanical (cam-driven) zoom, focus, and iris, allow you to operate as if you′ve got an interchangeable-lens camcorder, able to adjust either focus, zoom, or iris directly without having to select a control surface. Three values (A/B/Preset) of white balance are selectable with an auto-tracking white function. The preset can be set to 3200K, 5600K, and VARIABLE, which ranges between P2.4K and P9.9K. As with gamma, matrix setting includes a Cine-Like mode. H & V detail levels are adjustable, as are detail coring and skin-tone detail. That′s not all: chroma level, chroma phase, color temperature, and master pedestal are all adjustable as well. The camera offers four settings for knee point: Auto, Low, Mid, and High. 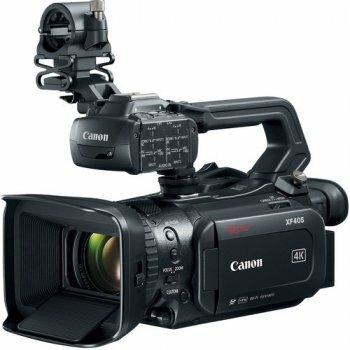 The AVCHD′s maximum consecutive recording length is 12 hours. This cannot be extended even by using the relay function. Simultaneous recording cannot be combined with relay recording, VFR recording or interval recording. Also, Rec Check and Last Clip Delete will not operate during simultaneous recording. Pre-Rec continuously stores in standby mode up to 4 seconds of HD video, 3 seconds in UHD, and this pre-record cache is only recorded to the P2 card once you press Record. This helps you get the shot every time, even if you "miss" the crucial moment by a couple seconds. Interval Rec gives you automatic intermittent recording based on a set interval and recording time (1 sec, 10 sec, 30 sec, 1 min, 2 min) only in 1080/24p. Rec Check checks the beginning and end of the last recorded clip. If you don′t like it, Last Clip Delete enables one-button delete of that last clip. Scenes can be marked with up to 100 Index flags per clip (AVCHD mode only). Time Stamp appends the date and time onto recorded images, which is a crucial feature for evidential images. 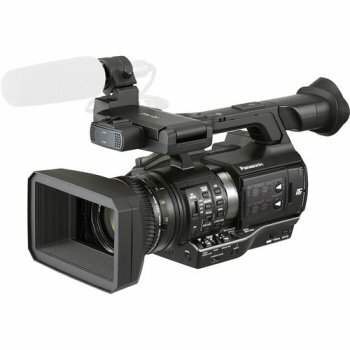 The camera features a scene dial that allows you to choose an appropriate matrix of settings instantaneously. 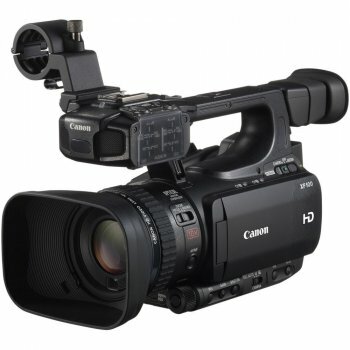 You can modify the six preset files if you′d like, one set of which can be stored internally in the camcorder. Up to eight sets can be stored on an SD memory card. 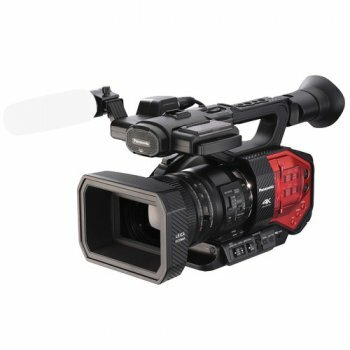 The AG-UX180′s color EVF uses a 0.45", approximately 1,770,000 dot-equivalent OLED display. 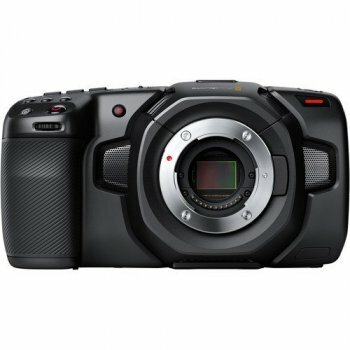 It delivers bright, detailed, high-resolution images and a high response speed. The AG-UX180′s LCD monitor has a 3.5", approximately 921,000-dot (1920 x 480) high-resolution panel. Various markers and grids can be displayed on the monitor/viewfinder, and with Mode Check, a list of the camera′s settings can also be displayed on the viewfinder and monitor. Box Dimensions (LxWxH) 18.3 x 13.2 x 11.2"